Judge says OMB offers limited justice—is the same true for the ERT? ERT hearing in Ameliasburgh: citizens paying to protect the environment from well-funded developers and the Ministry of the Environment. Recently, lawyer and retired Ontario judge Peter Howden published a book on the Ontario Municipal Board, titled, The Ontario Municipal Board: From Impact to Subsistence 1971-2016. Howden, a judge for 20 years, also served for 10 years with the OMB. According to a review of the book by Ottawa Citizen columnist David Reevely, Howden’s opinion of the OMB is that killing it off would be better than leaving it to function as it is. In our view many of Howden’s comments about the OMB (which was a key factor in approval of Ontario’s early wind power projects against community wishes) can also be applied to the Environmental Review Tribunal or ERT. Both are administered under ELTO or the Environmental and Lands Tribunal Ontario branch of government. The people who staff the OMB are “unknown entities, people largely without any public profile who seem to do whatever they want without criteria, limiting elements, or ability to define why one group won and the others lost.” Further, Howden says, OMB members’ decisions may be one-page rulings that are issued after days of detailed testimony, or they are rambling documents in which rationale is buried. Howden also says the set-up of these tribunals is a problem and interferes with their mandate: the adversarial nature of the hearings, not unlike court battles, is unfair for residents fighting well-funded developers. Lack of justice is emblematic of the hearings before the Environmental Review Tribunal where Ontario citizens spend hundreds of thousands of after-tax dollars to protect their communities and the environment, ironically from the Ontario Ministry of the Environment, which has a special, supportive relationship with the wealthy wind power developers it appears alongside in the hearings. Countless appeals were mounted in Ontario by well-meaning dedicated citizens who took their fight for their community and environment to the Tribunal, without benefit of legal counsel at all, while wind power developers were represented by lawyers from Canada’s top law firms. A recent informal poll of Wind Concerns Ontario member community groups reveals that communities have spent over $3 million in legal costs to mount appeals before the ERT, and that number is almost certainly understated. Moreover, citizen evidence presented at the hearings, paid for by citizen dollars, is often critical to wind power project operations—even in appeals that have been unsuccessful, the evidence presented has resulted in changes to the proposed power projects. This evidence is usually indications of risks to the environment, facts that the Ministry of the Environment and Climate Change would have been aware of, if they did any oversight or checking on Renewable Energy Approvals … which they do not. For example, the evidence presented on the danger to species such as the Blandings Turtle and the Little Brown Bat –paid for by citizens who raised money through spaghetti suppers and garage sales—won the day for the environment in several appeals. 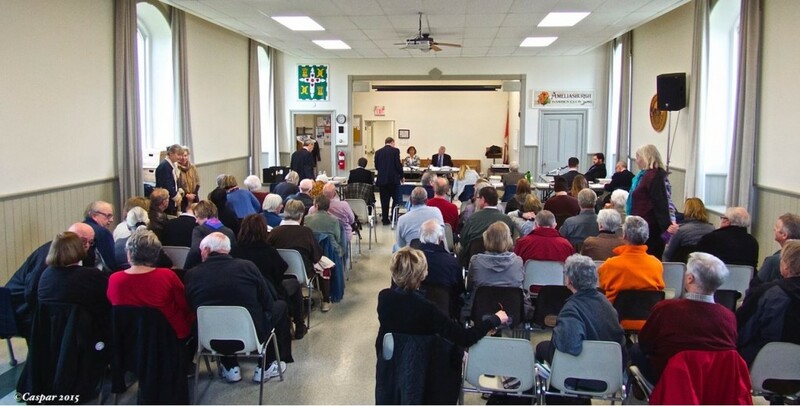 The appeal of the Ostrander Point project, which took years of work by Prince Edward County naturalist and community groups, not only resulted in overturning the approval for the project in a fragile environment, but also caused the Tribunal to refocus its aims, and conclude that, contrary to claims by the MOECC and developer lawyers, wind power was not necessarily a “greater good” that outweighs everything—balance must be achieved in protecting the environment. In the fight at Clearview, citizen evidence showed not only was there danger to wildlife from the proposed wind power project, but there was a clear danger to human life from a project planned close to not one, but two airports. Judge Howden concludes that the OMB should be a body worthy of respect. We say, the ERT should be that, too. This is absolutely true and a very serious issue which should be dealt with in the highest priority. Thank you Jane and Peter Bowden for your intelligent writing on this critical issue. Will we ever have an intelligent, honest environment ministry that acts out of a deep ecological awareness of the interconnection of all species, including human beings, and creates policies that reflect this level of sensitive awareness? This industrial wind turbine fiasco has been an industry led, government supported ‘faux green’ fraud based on deceptive data from the IPCC, with the nod of approval from our legal justice system. No wonder decent people have been so utterly disillusioned. The similarities between the OMB and the ERT operating under the same ministry is a clear signal they support one-sided legislation and that those who sit on them and hand out the rulings are performing in a fashion that will protect their jobs. To hell with democracy! Why are the ratepayers and taxpayers of this province treated so poorly–oh ya so the politicians can hand out taxpayer dollars to those who contribute to their party. Will we ever have democracy again? Certainly not with Liberals at the elm. Self serving people like the present Premier of Ontario, who. with a 10% rating still hangs on to power. The one preceding her quit out of fear after thrashing the democratic processes in favour of $$ and his erroneous ideologies. The federal Liberals are doing their best to limit the democratic rights of opposition parties and the electors. Sad times ahead! Mr. Gallant we need you to replace pretty boy Brown. In Ontario 40% voted in a majority government, the Liberals. The leader of the Liberals is a despot; Wynne. If this kind of government exist in an other country we call it a dictatorship. In a proportional represented system it would be nearly impossible to get self congratulation ads or attack ads or smear campaigns approved, funded by tax money. It would make it impossible to have a “Green Energy Act” approved without a cost benefit study. Proportional representation would have prevented most, and maybe all of (Wynne’s Liberal) government mistakes. Electoral reform to the proportional system would make Ontario and Canada more democratic and prevent “chosen dictatorship”. But it will never happen. The “dictator party” will prevent electoral reform to proportional representation, as they would have to share power. By the way, attack or smear ads are forbidden in Europe, as it is undemocratic. Regarding the willful blindness toward people being harmed by industrial wind turbines, one has to ask the fundamental question about a government that displays the human capacity to knowingly inflict harm. How these people could keep the turbines running despite the reports of harm, is clearly a measure of their lack of conscious principles to protect their fellow citizens. Attention all turdbine leaseholders in Ontario…. Stop Threatening local businesses and their hard working employees with boycotts to said businesses….. it is absolutely disgusting and embarrassing that you are threatening to boycott local businesses because of your mistake…. YOUR money that YOU spend in those businesses belongs to the hydro ratepayers of the province…… if you wish to threaten those businesses you need to go home and sell 50 acres of land that YOU AND YOUR FAMILIES HAVE EARNED…. then bring that money in and spend it or threaten businesses with….. you leaseholders forget that we know that it is our money you are trying to threaten us with….